China is a large continent which in turn brings a lot of different food varieties. 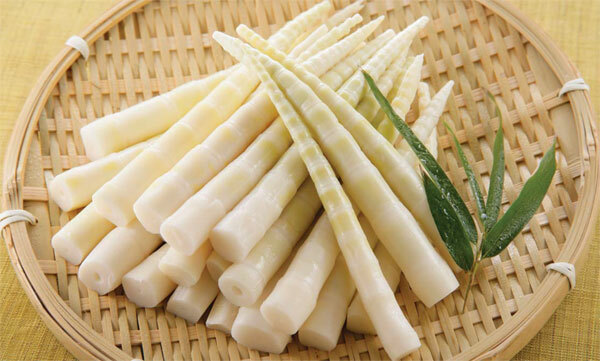 One vegetable that is seen in a lot of different Chinese cuisines in Bamboo shoots. What are they you ask? 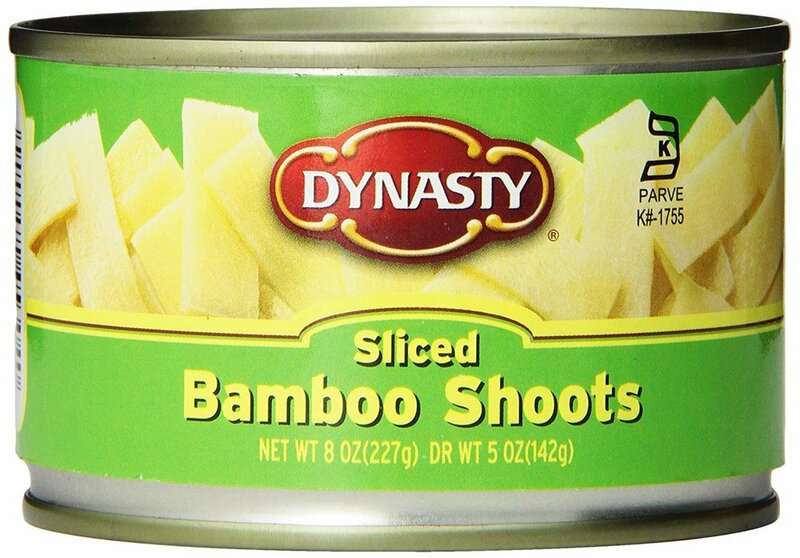 As the name implies, bamboo shoots are the edible shoots of the bamboo plant, which is native to Asia. They are cut from the plant once they appear above the ground to preserve their tenderness and because if they are left to grow exposed, they will turn a green color. Fresh bamboo shoots are available at Asian or Chinese markets, or you can find canned bamboo shoots at most local grocery stores. Fresh shoots need to be boiled until tender, then husked and cut into pieces. Canned bamboo shoots only need to be heated since they are pre-cooked. You may have eaten bamboo shoots at a Chinese restaurant as they are often part of a stir-fry. You can try them at home in almost any stir-fry dish, including stir-fry beef with bamboo shoots and stir-fry mushrooms and bamboo shoots. Next time you order your favorite dish from Windchimes thing…does this have Bamboo shoots in it? People with Chinese zodiac Pig sign are considerate, responsible, independent and optimistic. They always show generousness and mercy to endure other people's mistakes, which help them gain harmonious interpersonal relationships. However, sometimes they will behave lazy and lack actions. In addition, pure hearts would let them be cheated easily in daily life. As the Zodiac Year of Birth (Ben Ming Nian) for people of Pig sign, 2019 could be a year full of ups and downs in all respects for them. They could receive support and help from their colleagues and leaders, but might feel stressful under too many regulations. The fortune in wealth is fair. Although they can expect a salary increase and also gain more income from financial products, there could be a lot of unexpected expenditure offsetting the favorable money increase. As for love relationship, single females of Chinese zodiac Pig may have a fairly good fortune and could start a sweet relationship in 2019. In the spirit of International Honey Day this Saturday I wanted to talk about the history of honey and how it plays into Chinese culture. Talking about bees and honey in history must always include Ancient Egypt and Ancient China. But starting from the very beginning of times, we must say that bees are actually one of the oldest forms of animal life, since Neolithic Age, preceding humans on Earth by 10 to 20 million years. When they appeared, humans did whatever the other animals were doing at the time, meaning, stole the bees’ honey to feed themselves. Homo Sapiens and honey were together since the Stone Age. As the centuries went on honey was considered an important medicinal remedy as shown in their writings dating from about 2000 BC. As with India, honey also occupied an important place in Chinese culture, another great eastern civilization. Honey is mentioned in the Shi Jing, or Classic of Poetry, an important book of Chinese theology written in the 6th century BCE. According to Ancient Chinese medicine, honey is a major component to earth, one of the five basic elements, and acts on the stomach and spleen meridians of the human body. Need your Honey fix today? Try out our Honey Glazed Shrimp. Doctors orders! In honor of National Mustard Day on August 4th, I thought we should talk about and celebrate one of the popular condiments that is used in most Chinese restaurants: Spicy Mustard. This popular condiment is typically served with appetizers like egg rolls or wonton strips and can bring a flare of flavor by adding some heat. This is done by mixing dry mustard powder with water, creating a chemical reaction that makes the sharp, hot taste. How does this all work. Here's the science to break it down. Mustard seeds come from the mustard plant, a member of the cabbage family. They contain two sulphur compounds, myrosin, and sinigrin, as well as an enzyme, myrosinase. When the seeds are broken and water is added, the enzyme breaks down the sulphur compounds. The result is the sharp tasting oil that gives mustard its pungency and helps explain why the name mustard comes from the Latin words mustum (must) and ardens (burning). Want to try and make it yourself? Here's a simple recipe to spice up any of your dishes at home! Take out is one of the greatest inventions in the food industry and has brought so many fun flavors to so many people but where did it begin? This concept of "take out" prepared meals can date back to antiquity times. It was very common in Ancient Greece and Rome for roadside stalls to sell food to passengers walking by. This can be seen in the ruins of Pompeii where archaeologists found a number of service like counters open toward the street to provide food to be taken away. They also saw that there was a lack of a kitchen like area in the homes of people who lived in Pompeii which could lead to believe that getting meals to take home was more common than not. This wasn't the only evidence. Places like Europe still to this day have several foods ranging from meat pies to tarts that can be purchased to go and enjoyed elsewhere. Even with the popularity of other places and their take out/carry out foods nothing can compare to take out Chinese food. I don't know if it's the dishes that seems so elaborate andd delicious or that it's just something that I don't regularly make but being able to purchase this food and bring it home to my house makes it not only special but also as a staple in our daily lives. It's something that has become a comfort to me. And don't get me wrong I love going out to eat as much as the next person but who doesn't love being able to bring some tasty food home and eat it on the couch while watching Netflix shows in the pjs with only their cats to judge them. Thank you take out gods by allowing us to enjoy a variety of foods that we couldn't even dare to dream could exist! I can't wait to order some Windchimes now and sit on my porch as I watch the sun go down. How do you like to enjoy your take out food? Also feel free to take pictures of where you enjoy your Windchimes meal and post them to our Facebook page! Fried Rice: Why It's So Good?! What makes fried rice so good? I was floored the other day when I finally tried Windchimes' fried rice. It had a flavor that I had never tasted before and couldn't stop eating it. I couldn't stop thinking about it and had to go back to get it again. It was almost too good for words! Though, it got me thinking what exactly was fried rice and what is the history behind it. The basics is fried rice is typically pre cooked rice that has been stir-fried in a wok or frying pan and is usually mixed with other ingredients such as eggs, vegetables, seafood, or meat. Most of the time it's made from left overs from other dishes and can be eaten on it's own or as a pair to another fish. While the exact origins of fried rice are lost to history, it’s believed that it was invented sometime during the Sui dynasty (A.D. 589–618), in the city of Yangzhou in eastern Jiangsu province. Yangchow (Yangzhou) fried rice is still the standard by which all other Chinese fried rice dishes are judged: morsels of fluffy rice tossed with roast pork, prawns, scallions, and peas. In American-Chinese restaurants, you’ll sometimes find it called "special fried rice." Today, fried rice dishes are found throughout China, particularly in the south, where rice is the staple grain. But why is it so good? I think one factor that comes from it being so good is the nostalgic aspect of it. For me fried rice was an easy dish I could make easily enough for myself when I first lived on my own. Something so easy as taking leftover Chinese food and throwing it into a pan and adding an egg to it (for protein!) and some veggies to make it a balanced meal. It was quick and good. I still think of those simpler times and every time I have fried rice I'm taken back to that place. Fried rice has also spread to other countries putting their own spin on the popular dish. From Thailand to Cuba and Portugal to Japan. All these places have their own versions that have some basis of the original dish but making it their own and I can't wait to try them all! China is a large continent which boarders and in close proximity to other countries. Just as we’ve learned from previous blog posts there are different cooking styles/flavors from other regions of China. This also spreads over to the different influences that China has picked up on countries that are close by such as Mongolia and Indonesia. Buuz - is a like a dumpling. Now on to Indonesia. The flavors in this country, since way more south of Mongolia and China, create a whole different palette. Their food consist of a lot of flavor and spices that really give your food a kick and a more complex flavor. Bali curry typically consist of meat that is cooked in a curry paste that is combined of several different spices to give it a unique flavor. This then is boiled in coconut milk and a variety of vegetables can be added such as potatoes, green beans, and carrots. As you can tell these dishes are both different but similar stemming from the concept of using what is around them where they live. Even though these two countries are very far apart they still have a common thread of food. Sure, their flavors may be drastically different but there is a reason why Windchimes has both on their menu. These two countries are important cultural influences to China whether you realize it or not. We live in an age where these different flavors be carried out in all parts of the world. With the ever expanding food scene we are able to give people not only a taste of China but other places like Mongolia and Indonesia. There are so many cultural influences on food and that’s what makes it so magical. We are able to bring so much of ourselves and interests into it and share it with the people who are curious to try it. So, why not be that person and come in and try our Mongolian Style cooking and Bali Curry. I know you won’t be disappointed! Ever wonder where wasabi comes from? It seems like the bright green blob squeezed out of a tube was just always like that, a course paste. But was it? And where does it actually come from? Wasabi is a plant of the Brassicaceae family, which also includes horseradish and mustard. This makes sense because it has that very intense, up front flavor right as it enters your mouth. The plant that is comes from looks very odd. It has leaves and a very large looking root. But that root is actually the stem to the leaves of the plant and where the wasabi comes from. Yeah, I know that it doesn’t seem like that large, coarse root could contain a bright green paste but it does you just have to know how to get it. When making wasabi you have to use a special metal grater called a oroshigane. This grinds the stem very finely creating the course, green paste that you know as wasabi. Traditionally it comes from Japan and is known for being used alongside sushi, though there are other ways to use it. At Windchimes our chief has used this spicy paste to kick up the flavors of some food such as tuna and shrimp. The Wasabi Shrimp dish starts off very flavorful and you don’t taste the wasabi right away. Then like a cat stalking a mouse it slowly creeps up on and then pounces on your taste buds. Wasabi provides a fun food experience giving your mouth a different sensation of flavors and spice. Who knew that this stem could pack such a punch and give our food a flavor we didn’t know we needed.